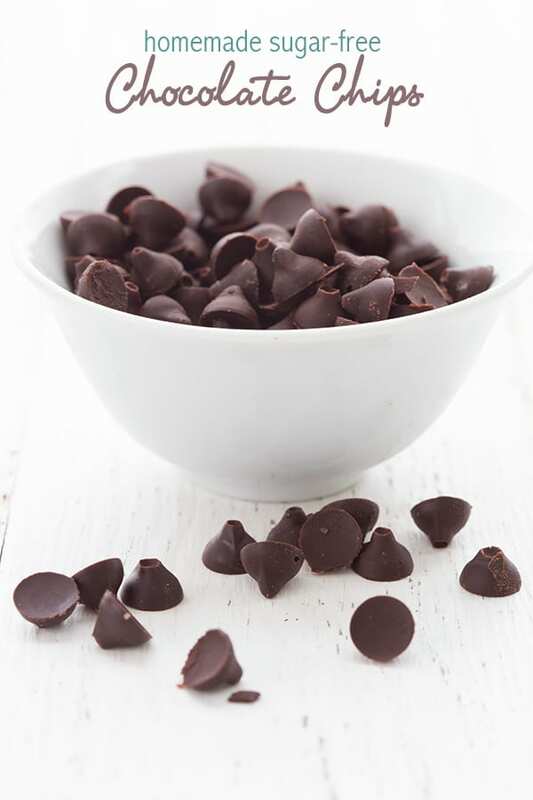 Making sugar-free chocolate chips is surprisingly easy and takes only simple 5 ingredients. Make these homemade chocolate chips for a great low carb and dairy-free option! 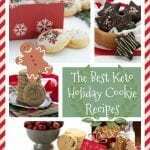 Great in all your keto cookies, cakes, and sweet treats. Instructional video included. If you think you might have seen these before, you have. I’ve done homemade sugar-free chocolate chips before, but this version is better and holds up to all of your low carb baking. They hold their shape perfectly and they have a deep rich semi-sweet chocolate flavor. And they honestly take only a few minutes to whip up. While there are several good brands of sugar-free chocolate chips on the market, they can be prohibitively expensive. I love Lily’s chocolate chips but I find myself balking at $7.49 a bag. They also aren’t dairy-free and they contain a little soy, which many people don’t like. As a reader recently asked me about whether I had a decent homemade alternative, I decided I had to take matters into my own hands. I can honestly say that I have made vast strides in low carb cooking and baking in the past few years and very often my experiments lead me to new discoveries about how certain ingredients behave. I find myself storing up these little tidbits in my brain for future use. And when the time is right, a whole new idea takes shape in my brain and I can hardly wait to test it out. The last time I made chocolate chips, I made them with butter. They were good, to be sure, but definitely a little on the soft side and they needed to be stored in the fridge and then added to the recipe just prior to baking. And although delicious, they didn’t quite live up to that true chocolate-chip flavour I had in my mind. Still, they were a good approximation and I was satisfied. But since that time, I have been playing around with other ingredients in some recipes, including cocoa butter. Unlike butter or coconut oil, cocoa butter stays solid at room temperature and it takes a fair bit of work to make it melt. For a bar of chocolate or a chocolate chip, this is an excellent quality indeed. I also made sure to thoroughly sift both the powdered Swerve and cocoa powder before adding it to the melted chocolate mixture. This made a significant difference to the end result and the chips were much less grainy. To really sift out all the lumps, simply set a bowl below a fine mesh sieve. Measure your sweetener or cocoa powder into the bowl and use a spoon to stir it around and scrape it through the holes in the sieve. And now that someone has come along and invented chocolate chip molds, we can even make them chocolate chip shaped! Wooohooo! 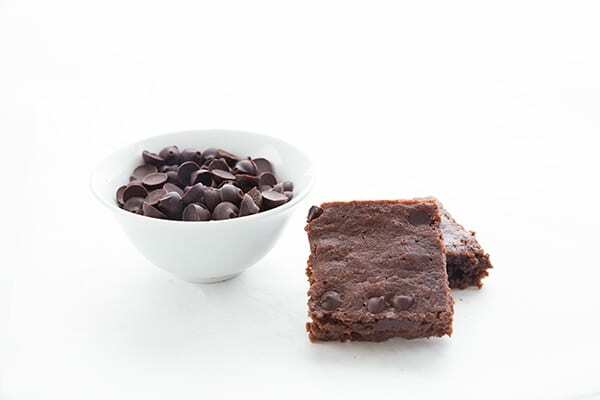 Heretofore, I had always simply poured the chocolate mixture into chocolate bar molds and then chopped them, making them into low carb chocolate chunks rather than chips. I have also use these honeycomb silicon trivets, which work well and give them a very distinct shape. You can even simply pour the whole mixture into a parchment lined pan and chop them up from there. But obviously the chip mold is fun to have and they look just like the real thing. Any way you make them, these sugar-free chocolate chips were a huge success. They blew my original attempts out of the water. First, they firmed up perfectly and I found that they didn’t need to be refrigerated after the initial chilling to stay firm. Secondly, they tasted like REAL chocolate. And why shouldn’t they? REAL chocolate is made with cocoa butter and is part of what gives it the deep, intense chocolate flavour. I had a hard time saving any of my first batch for baking with, because I just kept eating a little handful here and a little handful there as I passed through the kitchen. And these homemade sugar free chocolate chips bake well too, I am pleased to say. I added them to some brownies, and I also baked them up in my Keto Double Chocolate Muffins. They held their shape nicely and didn’t totally liquify and run all over the pan, as I feared they might. They certainly held up about as well as any bar of chopped dark chocolate I’ve ever used. The low carb chocolate chips melt perfectly into sugar free desserts like my keto chocolate chip cookies and Chocolate Chip Cloud Cookies, and I bet they would be delicious in Kalyn’s flourless low sugar peanut butter chocolate cookies too. Melt the cocoa butter and unsweetened chocolate in a double boiler. If they are over direct heat, they are more likely to seize. Use quality unsweetened chocolate such as Ghirardelli or Scharffenberger. Cheap bakers chocolate tends to seize more and will have a grittier texture. Sift your powdered sweetener and your cocoa powder to get out all the lumps. Use chocolate chip molds, silicone trivets, or any chocolate mold to shape your chocolate. Be sure to refrigerate until completely firm. After that, they won’t need to stay in the freezer or the fridge. 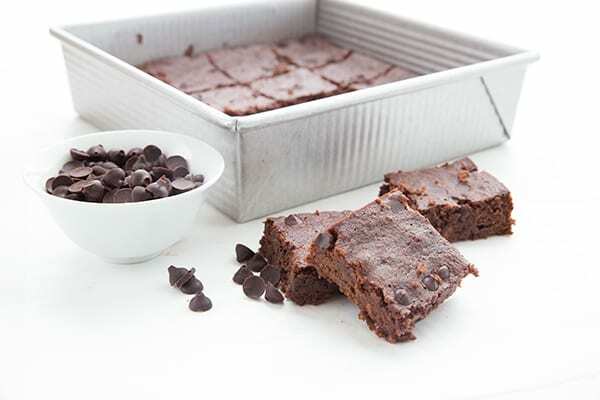 Pour into chocolate molds or spread in an 8x8 pan lined with parchment paper. 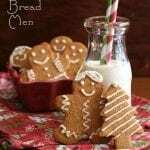 Can you tell me what the recipe for the images of the cookies on this page is called? Do you think powdered xylitol would behave the same as powdered erythritol? Just curious–is there a particular reason why you don’t use xylitol, other than it being higher on the glycemic index than erythritol? Also, do you have a favorite source for cocoa butter? Thanks for the recipe! I had the same question, but about subbing “Just Like Sugar,” because it’s my favorite sweetener (except for the price). I was concerned because sometimes the chicory root acts as a thickener so didn’t know if that would mess it up. LOVE your recipes, btw! I think you could try the just like sugar. Swerve has oligosaccharides which are also a fiber so I bet Just Like Sugar would work. If it seems too thick, add some more cocoa butter and a bit of unsweetened chocolate to thin it out. Hi Eva, erythritol has a lot less gastro-intestinal issues than xylitol, because it’s absorbed in the small intestine, so it causes a lot less tummy trouble. Also Xylitol definitely has more of an affect on my blood glucose. I bought some really great cocoa butter from Amazon.com recently. It’s organic and it comes in chunks in a bag, so you don’t have to try to scoop rock hard cocoa butter out of a jar. It’s called Kakosi. Thanks for explaining about erythritol. I can’t tolerate it, but I do well with xylitol. I always wondered why. My gastrointestinal issues are in small intestine. Maybe that is why erythritol makes me sick. Xylitol is toxic to dogs so I won’t even have it in my house because my dog can hear a pin drop from the other room! I’ve heard it tastes fabulous though. Chocolate is toxic to dogs as well. I don’t know about Carolyn, but I won’t have xylitol in the house because it’s toxic to dogs. Oh the chocolate!! I bet these are fantastic! If I click on the cocoa butter link in your recipe, does that take me to your affiliate link on Amazon? I want to support you since I love and use your recipes! But, I couldn’t tell if that link was connected to you ? I think that’s the right link! It’s been a while so I can’t say for sure. The trickiest parts of making real chocolate with cocoa butter are tempering and conching. If not tempered (the process whereby cocoa butter crystallizes), the chocolate will be gummy at room temperature. There’s also conching, which makes chocolate smooth through a many-hours long process of grinding and blending. That’s how sugar (or erythritol) is incorporated into the chocolate smoothly. For baking chips it’s less than critical for the chocolate to be tempered and conched. As for chocolate made with erythritol, Wilbur Chocolate of Lititz, PA, once made a dark sugar-free chocolate called Apollo with a blend of erythritol, inulin, Ace-K and sucralose. It was good for chocolate enrobing and making chocolates. Unfortunately, it had a tendency to produce erythritol crystals when you used it in any recipe where the chocolate was blended with liquids containing water (as in making ganache with heavy cream). I know some people wish to avoid artificial sweeteners, but a blend of sweeteners does tend to improve the overall sweetness profile. Have you tried using a quality powdered Stevia in your chocolate, along with the erythritol? Yeah, until I get a conching machine, I’m pretty happy with my homemade version. 😉 But you’re not ever going to convince me to use sucralose or Ace K. Blech! Stevia, yes, I’ve done some. But Swerve worked well and the chocolate did not become gummy at room temp, even without tempering, which is, quite frankly, more work than I have time for! It sounds like you got lucky with the tempering. Years back I got into making chocolates and went a little nuts. I made sugar-free and regular chocolates — hand dipped and molded. Tempering became second nature. I melted chocolate with the microwave and tempered over a bowl of warm water to maintain the right temp until I could add in my “seed” chocolate to temper. In this case you’d be using finely chopped cocoa butter to seed. Doesn’t take much time to do, as long as you have a good digital thermometer. Thank you for the lovely recipe! I’m new to low-carb dieting, and haven’t made chocolate other than the frozen kind made with coconut oil. My question was, why not just sweeten the unsweetened chocolate and add the vanilla? Wouldn’t the cocoa butter and powdered cocoa combined just be the same as unsweetened chocolate? I just wanted to ask before I order some of the cocoa butter. Thank you, and I’m glad I found your website!! Good question. Because although you could melt plain unsweetened chocolate and stir in some sweetener, it would likely seize like crazy. There’s no way, with something like erythritol, that you could get it to mix in, without getting a goopy, thick mess. If you wanted to use a liquid sweetener, like sucralose, maybe but I don’t like sucralose. And if you have to use a significant amount of the liquid sweetener, your chocolate will again seize. It’s very tempermental stuff. An additional oil, like cocoa butter, helps it smooth out and allows it to mix nicely with the sweeteners. And cocoa butter is so hard at room temp, it’s a good choice because it will firm up properly, rather than need to be refrigerated. Not sure if it would make a difference here, but a technique I learned making candies is to melt your chocolate on a heating pad (I use a ziplock to contain it), which doesn’t break the temper. That way you can coat candies without getting a hard/sweaty result) Just one of those ten dollar cheapos from walgreens. You can get a ‘cheap’ tempering vat thingy from king arthur, but they run about 200 bucks so you’d have to be really committed! I’ve made chocolate bars with your recipe quite a few times, and ever took one on a 20 hour round trip car ride to see my daughter for Christmas! I’ve never had a problem with the texture that he’s talking about either! I can tell some times when I make a large batch like 2-3 times your recipe that the sweetener tends to settle in the bars! Even after I’ve powdered and sifted it! Which is actually what I’m researching now, what temp it actually melts at! I love your recipe as is! It is great! You are also right about there being a huge need for sugar free chocolate chips! I’ve only found one on Amazon and its pricy and I’m not to sure about it! I’m not diabetic, but I have auto immune disorders that are effected by sugar in the same way, so I use how blood levels are effected the same way! Thanks for the great recipe I love it! So glad you’ve found it useful! I always love reading about your experiments Carolyn – sounds like these sugar-free chocolate chips turned out great – now you just to market them! I’m always so impressed by anyone that attempts gluten-free baking! YUM! I wish you the best for your son. That’s tough on a kid! Looks like this would really be good and as a soapmaker I have a 10 pound box of cocoa butter in the freezer, just have to chip some off the block! Thanks! As long as it’s food grade, you’re good to go! So incredible, Carolyn! I will be trying this for sure! OOPS, the question of seizing. These are so great! This is such a good recipe to have on hand as these could go in so many recipes! You have a real knack for finding a way to make anything low-carb, great idea! Amazing timing to get this recipe when an order of cocoa butter arrived. Can’t wait to make this. Not thrilled with grainy erythritol texture, but use it anyway. It feels much more grainy when it’s still melted. Once it hardens, I found I really didn’t notice it that much. Love this idea; thanks for experimenting! Good to have this recipe! Thanks, Carolyn. In the past, I’ve found Sunspire Unsweetened Carob Chips to be a fairly good substitute when I haven’t had a source of sugar-free chocolate chips handy. The ingredients are nonfat milk powder, carob powder, palm kernel oil, and soy lecithin. So perhaps not the best either, but an option for some. I’ve had those too, not bad in flavour but definitely higher in carbs than my homemade version. Carolyn – what other things will make it seize? I have tried making frostings with unsweetened chocolate and found that “Just Like Sugar” made it a goopy, thick mess, I was wondering about cream or milk powder, would that make it seize? Maybe it would make it smooth out a little and allay the graininess? I also have sunflower lecithin since I do not do soy. Perhaps that would help a little. A little cream would absolutely make it seize as unsweetened chocolate doesn’t like liquid. You can rescue seized chocolate with a little heat (on low) and the addition of even more liquid, 1 tbsp at a time, stirring constantly. But then it’s quite soft so it wouldn’t work for chocolate bars or chocolate chips. And hey, where do you get sunflower lecithin…I’d really like to try that!!! Also, would milk powder make it seize, since it would not be a liquid? Thank you. I don’t know but I find milk powder doesn’t dissolve well into the chocolate mixture and it ends up a bit grainy. I wonder how you would make a homemade sugar free milk chocolate then? In any case, since we are mostly dark chocolate fans, I think I should just go with what works. Thank you for this recipe. I am sure there is a good way to make milk chocolate when you have better equipment and can really work the sweetener and milk powder in! Bravo. Your experiments are wonderful!! Another terrific recipe from you again. We are4 so blessed to have your expertise. Thanks for helping all of us and sharing. Hi, I wondered where and what brand of cocoa butter you used? Thanks! I used Kakosi organic, I got it on Amazon. I like it because it comes in a bag and in smallish chunks so it’s not hard to weigh it out. You don’t have to chip it out of a container. Sounds good! You can get sunflower lecithin at Whole Foods sometimes. I think I got mine on Natural Zing. A lot of the raw,organic vegan websites sell it. Way to persevere Carolyn! 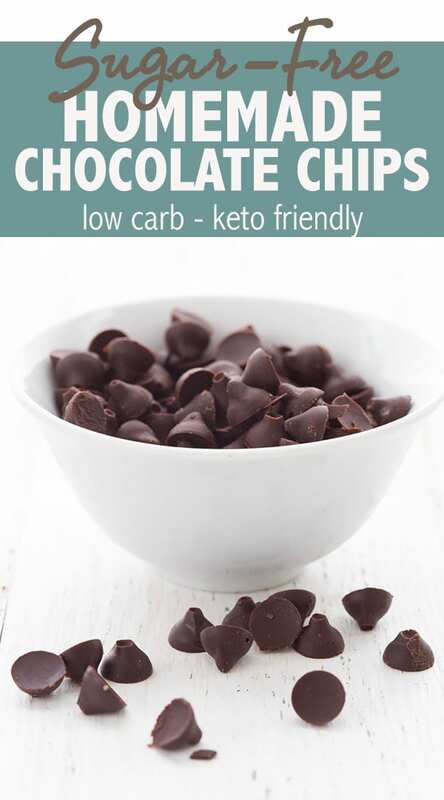 🙂 This is super impressive – I’ve never seen someone make their own low carb chocolate chips but it makes complete sense! 🙂 Nice job! Pinning this for later 😉 Thank you! Can I just sub the classic 3 TBS cocoa powder + 1 TBS oil per ounce of Unsweetened chocolate needed? Or will that mess with the consistency? I don’t know for sure but I think you should try it. And for better flavour, go with coconut oil if you have any. If the end result is too soft, keep it in the freezer or fridge, and it will still be delicious! I live in Beijing and absolutely love your site and recommend it to anyone who will listen! Living gf and low-carb in Beijing is sooo much easier with you in this world!! Now…. apologies in advance for what made be a ‘stupid’ question! I have brought a lot of my gf baking goods over from the States, but I didn’t bring powdered erythritol with me and can’t find it here! I have granulated stevia and can get granulated erythritol online here, but having not made chocolate before I am not sure if the sweetner must be powdered? Powdered would be best but if you can’t get it, you can used the granulated. Your end result will be grittier. Can you grind the granulated in a coffee grinder or something? It won’t be ideal but it would help some. I keep using xylitol because we tolerate it well and it’s cheaper. Even though it does raise blood sugar levels, it is minimal so I figure it’s an ok compromise. I have melted down baking chocolate and sweetened it with xylitol but haven’t used it to bake because one recipe I read pointed out that it will melt and run all over the place but still have good flavor (in something like chocolate chip cookies). My kids don’t need any help making chocolate messy! Recently, I’ve been making coconut oil candies that I sweeten with a simple syrup made with xylitol. Since it’s made with cocoa powder it doesn’t seize. We can leave it out of the fridge for 10-15 mins before we need to chill it again. I’ve also mixed in shredded coconut and just poured it in a dish and cut it into squares or eaten it with a spoon at room temperature. That’s great for satisfying the need for a sweet treat but I love the idea of cocoa butter to firm up the chocolate so you can bake with it and eat it at room temperature. I think those benefits might make it easy to live with a little crunch from the sweetener. Going to order some cocoa butter now! Can I use these chocolate chips in the cookies recipe? I want to make low carb chunky chocolate chip cookies. You sure can! They will melt a little more than typical chocolate chunks, but they don’t run all over the place and you get some nice chunks of chocolate. Have you ever made white chocolate? I am new at all this so I don’t even know how one would even attempt to make that! I can NEVER find sugar free white chocolates for baking and I don’t like milk/dark chocolate (shocking, I know!). Do you have any suggestions on where to get sugar free white chocolate? Thanks! Just made your recipe into chocolate bars and added chopped peanuts. Delicious! This is the best low-carb chocolate Recipe I have made. The recipe made 8 chocolate bars, and with the addition of 2 ounces of peanuts, each bar was 116 calories, 9carbs, and 5 grams fiber. Therefore, net carb count was 4 per bar. A great evening treat! Good stuff! Glad to hear they worked out for you. Is there anything I can use in place of powdered erythritol? It seems to have a lot of carbs :/. I’m not sure I like that.Is it possible to use a no-carb liquid sweetener? or Will that mess with chocolate chips? Erythritol technically contains carbs, but it has zero effect on mot people’s blood sugar so it counts as zero net carbs. I have tested this on myself (pre-diabetic) over and over. I am a believer. So sure, you can try whatever sweetener you like but I don’t think it will taste as good or have the right consistency. Just made these for my holiday baking. They worked beautifully! The chunks held up in my cookies. So glad I found your site. My only substitution was powdered Whey Low. Reading this as part of your 2014 Best Recipes. Thank YOU!!!! I am so happy I want to cry. I live with a cane sugar food sensitivity and recently learned that the sugar in the 86% Dark Chocolate I was eating was causing havoc in my system (major hair loss) 🙁 Been chocolate free now since Halloween. I am ordering my Cocoa Butter today! Cannot WAIT to try!! Oh no, what a terrible sensitivity! Cane sugar is in practically everything! Hope the Swerve and stevia work for you. This is like really good, really dark chocolate. Yum! How do you store this? Fridge or room temp? You can store them at room temp for a few days, but if they will be around longer than that, store them in the freezer. No, I just used a plastic chocolate bar mold from Michael’s. I think it cost $1.99? As a type 1 diabetic, I’m extremely careful with my carbs. I made this recipe exactly as written. I didn’t have powdered Erythritol so I put my granulated in the food processor and ran it until it was quite powdered. Poured it into an 8×8 pan lined with parchment. It was delicious (even though I’d prefer milk chocolate) and has had zero impact on my blood sugar, which is thrilling. Thank you! Yay, Valerie, that makes me so happy. I wish I could figure out a way to make milk chocolate. I am a huge dark chocolate fan but I know not everyone else is! 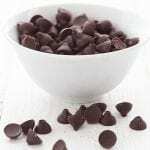 Have you tried Lily’s Chocolate Dark Chocolate Chips? They are sweetened with stevia and erythritol. All of their chocolate products are wonderful — and they recently came out with milk chocolate). Ha! Can’t argue with you there. It’s that trade off for time vs money. It does make it self-regulating on making the cookies too often. Hi Carolyn – thanks for posting this. I have tried making these before and liked them….but, I store mine in the freezer and found the erythritol was gritty in the finished product. I always powder my erythritol, so, not sure what else I can do to make this a smooth finished chocolate? Should I just use liquid stevia glycerite??? Or a combo of the glycerite and something else? Wasn’t sure if you’ve had the same problem after storing it and played with the original recipe or not. I did have the confectioner’s Swerve until the holiday baking was over. I think I just saw a BOGO email come thru today. I’ll have to grab some before the special ends and try this again with the confectioner’s Swerve. Thanks!! Ooooooo, now I MUST try to make these – will just have to find a place I can order cocoa butter from with delivery to Canada! I think you can use these, although I am unsure on how to use the cocoa paste. I just looked up that brand of cocoa butter and it’s fine for food. could I also get the recipe for those cookies. The look UNREAL! Email me through my contact form. Thanks! I have printed the recipe out It not for me but my wife. I made this wonderful sugar-free chocolate yesterday afternoon and it turned out PERFECT! The whole family loved it and I’ve now shared with several co-workers who have asked for the recipe! Thank you so much! I also made a batch with cayenne and cinnamon (about a 1/2 tsp each) which is amazing! Where do you buy cocoa butter? Also, what can I use instead of the cocoa butter? I guess I should have read through the comments before attempting this. My chocolate came out very gummy and crumbly, not smooth and melty like regular chocolate. Oh well. I know the first time isn’t always a success. As long as it tastes ok, I’ll still eat it. lol. Hmmmm. What brands of cocoa butter, cocoa powder, and unsweetened chocolate did you use? I used gharidelli (sp) unsweetened chocolate, hershey’s cocoa powder, powdered erythritol, and Plant Guru brand 100% cocoa butter. It comes out all gummy in the pan, and this time it came out all powder like. It was gross too. My last batch was crumbly, but tasty. Well, if you did it the same way both times, I can’t imagine why it would be tasty once and gross the next. Something has to be off. What sweetener is it? I’ve never tried Plant Guru cocoa butter either. I know this post is old, but in the interest of helping others who may be reading this line of commentary I was wondering if your powdered erythritol was a Swerve brand or another brand? Swerve has oligosaccharides in it; so if it was another brand without the oligosaccharides, it could affect the end result. It would have been interesting to troubleshoot why your two batches ended up so different from each other back then too. Thanks for the information Carolyn… The issue is that cocoa butter has 248 calories per ounce so even though the sugar issue is resolved the calories from the cocoa butter could be an issue caloric wise. First of all, calories are irrelevant for the most part. Second of all, you don’t eat a whole ounce of cocoa butter in one go. So I am not really sure of your point. hi. besides amazon and soaperschoice.com, can you find cocoa butter at a health food store? I looked at woodmans(which is a huge grocery store that carries just about everything) but no cocoa butter. I know that some Whole Foods carry it. besides the internet, do they sell cocoa butter at health food stores? I tried woodmans, which is a huge grocery store that has like everything, except cocoa butter? I would like to make a large batch to keep on hand. Will this work and how should I store the chips until using? Also, any ideas on why everything goes well until I add my vanilla, then it seizes on me everytime? Thank you. Yes, it will work and you should store them in an airtight container (probably a ziploc bag) in your freezer. Try to get as much air out as possible. The vanilla is liquid and chocolate does have a tendency to seize with added liquid. It can depend on the quality of the chocolate and the vanilla. Can you find vanilla bean paste or powdered vanilla? That might help. If not, try adding the vanilla in with the cocoa butter so it’s in the recipe earlier. 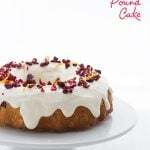 Or leave it out altogether although I really like the flavour better with vanilla. I used your recipe yesterday. I organic unsweetened chocolate, but threw away the package so I can’t say what brand. I also used equal exchange organic baking cocoa. I found food-grade cocoa butter by NOW in the baking section of my local health food store. I decided to give it a go. The substitution I made was to use xylitol. It wasn’t powdered, however, it was granulated. I thought it would melt in the chocolate. NOT the case. So, my first batch I made I used all the same measurements and the xylitol made the chocolate grainy. I had enough ingredients to make it again. But the second time around I added only one tablespoon of xylitol. It melted just fine. But the chocolate wasn’t quite sweet enough. So, I added another tablespoon. But then I ended up with grainy-ness again. And the second batch is now closer to a semi-sweet or 70% dark chocolate sweetness (which I prefer). I expect that the grainy-ness will be present in the chips if I bake them. Ultimately, these have great flavor and will satisfy my occasional cravings. Wondering if I found a powdered xylitol, if that would solve the melting issue. Other than that issue, my chocolate turned out smooth and yummy. Powdered sweetener, be it xylitol or erythritol, will make a huge difference. You will sometimes still see little flecks of the sweetener but it won’t have a grainy mouth feel. Unfortunately, sugar alcohols simply don’t “melt” into things as well as real sugar. But hey, it’s SO much healthier, I am willing to live with it! Until I make my own chocolate using this recipe, I always use Aldi’s 85% cacao dark chocolate bars. One box contains 5 bars, about 2″x3″ and a little less than 1/4″ thick. The entire box of 5 is like 11 net carbs. It only takes one bar, broken/cut into pieces for my chocolate chip cookies. The chocolate melts just enough. I used this recipe to make almond bark. I just spread out the chocolate on parchment paper and sprinkled chopped almonds on the top. After it hardened in the fridge I cut it into pieces and it was amazing!!! I was wondering if you have a white chocolate recipe. I have looked everywhere online and I found one that looked pretty good, but it was an epic fail. I was really wanting an awesome white chocolate recipe so I could make some sugar free Christmas candy. Not sure what happened with my batch…it never got pourable even after adding more cocoa butter and even some coconut oil. It tastes great, but I don’t think they are going to work very well as chips 🙁 Any idea what I might of messed up on? Sounds like perhaps your chocolate seized? Can’t say for sure but a few tips for next time: 1. Use good quality chocolate like Ghirardelli…don’t use Baker’s, as it tends to seize more easily. 2. Melt it double-boiler style, especially if you are using an electric range (it’s harder to control the heat with electric). Set a bowl over a pot with some barely simmering water. This takes longer but melts the ingredients more gently. This recipe came together really easily and I used Bakers, since that was all that the store in our little town carried. My question is; should I expect the Swerve to actually melt? I stirred endlessly and it was still visible and, yes, I used the powder. Then I was thinking about baked goods I’ve made with Swerve that I could recognize the little bit of crunch….so I gave up stirring and poured. I think it was still a bit sweet for me since I’m just eating it as a candy bar rather than chocolate chips for baking. I’ll cut the Swerve a little next time. Any thought’s? The texture is not a big deal but I wondered…..
No the Swerve doesn’t fully melt in with the chocolate. It takes a lot to dissolve erythritol and you can’t really do it with the gentle heat you need for melting chocolate. I love this recipe! As time has gone on, I modified it to my preferences. I just multiply the recipe by 5 and add 6 ounces of chopped chocolate instead of 10. It makes them more milk chocolatey. You do have to freeze them to get them out since they are softer. I make them in to fun little shapes (gingerbread men right now) and then I dip them in natural peanut butter. Yummm! This is one of my all-time favorite recipes. Chocolate without the guilt! Thanks for all of your tips, Erin! I made another giant bar but used 4 oz chocolate, 1/2 c cocoa, 1/4 c swerve then bumped up the sweetness just slightly with one of those teeny scoops stevia. This level of sweetness is perfect for me. Thanks again. I did it!! I didn’t want chocolate chips, I just want chocolate to eat on a regular basis (daily, hourly, you get the picture). So I poured it into ice cube molds with silicone bottoms and they popped out perfectly. I didn’t know as single thing about tempering until I read the comments after I was finished and it did turn whitish on the top and bottom, but it’s perfectly hard and tastes amazing! The sweetener needs tweaking (I might try xylitol next time, it doesn’t affect my stomach), but I am very pleased with the way it turned out!! Thank you so much for the recipe!! 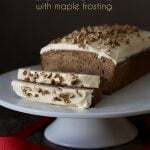 Is there any way too make this without using store bought chocolate. . With just cocoa powder? Not really. It wouldn’t harden up enough and you’d end up with pretty goopy chips. I am the best at seizing up and ruining chocolate so I’ll ask before I ruin more expensive ingredients; is there a way to make these more like milk chocolate? I’m guessing add in heavy cream, but when and how much, etc? I really don’t know. I’ve found milk chocolate to be exceedingly elusive and so I just buy Lily’s brand. How does cocoa butter taste? I realize it’s not sweetened….but is it bitter like unsweetened chocolate? Can you use it alone as “white chocolate chips” if you add plan approved sweetener? How important is the sifting of the Swerve? I’m unable to do so, it just falls right thru the sifter into the bowl. The bad advice about health care including fads regarding immunizations and dietary issues can be especially harmful. I won’t get into an argument here, as I lack the time. For the last fifteen years, I’ve chosen to limit my intake of fats that have been frowned on by cardiologists. It sure won’t hurt me to err on the side of caution. Sadly, there have have been 60 years of bad dietary advice, long before the internet was ever around, and it has been to the detriment of the Western world. But I don’t dole out the advice, I direct people to the best sources of scientific evidence. Nina Teicholz book is an astonishingly well-researched look at the state of nutrition and how we got here. If you choose not to look at the other side, that’s your decision. But you may be erring on the wrong side of caution. My best suggestion is to not use straight erythritol like that. Use Swerve or some blend, or do a portion of erythritol and make up the rest with stevia. I found the same to be true. What worked GREAT for us was to add 2 teaspoons of monk fruit powder to 2 lbs erythritol, blend it in the blender and voila! Took the coolness away! Also is a great way to make the expensive monk fruit last? Another bonus is since you’ve just put it all in a blender you now have powdered sugar! These chocolate chips look so good! Would they work well in homemade ice cream? Yes, they work great in ice cream. I veganized by using powdered coconut milk. I melted over the pilot light of my stove overnight. Turned out great! Thank you. Carolyn, I made this tonight I couldn’t find powdered swerve so I use the granulated version that I ran through my food processor. My first attempt was a glob of goo that was very gritty and unbelievably bitter. I decided to add more cocoa butter and melt the batch I made it came out very smooth and creamy but still really bitter. My question to you could I take my second batch and melt it in a double boiler and add additional sweeteners of some sort maybe stevia to come up with a less bitter chocolate? It’s always dicey having to melt it again but it’s certainly worth a try if you want to make it edible for yourself. Well I remelted my chocolate and tweeked it a bit and I was happy with the results. Yesterday I made a batch of your chocolate chip cookies and I have to say they were so good, even my husband who would rather have dental work done over eating my low carb experiments said they were good. Thanks for all you do in making low carbing easier for us all. Wait….he’d rather have dental work than eat your low carb experiments? So supportive! 😉 But yay if we won him over! These were good, and it is a good learning experience for a cook who knows little or nothing about candy making, “seizing”,, etc. Just learning about and find food grade coconut butter wasa big stretch! This recipe definitely meets a need in our SF household. Should the end result, before pouring into a pan, be thick like a batter that needs to be spread or pourable? I’ve tried many variations with these ingredients. Most ended in disappointment. Your recipe performed amazingly well. It was just the thing I needed. Thanks! How would you make this bittersweet? It already is bittersweet, pretty much. Thanks so much for sharing all of your hard work with the world! My son recently started the Modified Atkins Diet for seizures. We’ve been told to keep his net carbs (total carbs minus fiber but not minus sugar alcohols) around 20-25/day, and he’s having a hard time giving up all of his beloved carbs, including chocolate. I was so excited to find this recipe! 1.8 net carbs is the perfect splurge! The first batch is in the fridge, but now I’m afraid to give it to him. From our count, it looks like each serving has almost 10 net grams of carbs, mostly from the Swerve (2 from unsweetened chocolate + 120 from Swerve + 11 from unsweetened cocoa = 133 net carbs, divided by 14). Please tell me I’m missing something … my son is salivating, and I’d love to let him have a treat! I’m new to all of this, so maybe there’s a reason I don’t have to worry. (I’ve seen Swerve in another recipe for patients on a related diet, the ketogenic diet, but I just don’t see how it’s safe if we can’t subtract sugar alcohols.) Thank you! Hi Tara. You are not missing anything, as I subtract erythritol. I don’t subtract all sugar alcohols because some do affect blood sugar. But erythritol is well studied and found typically not to. Most people do subtract erythritol because of this but since your son has such a specific issue, I honestly cannot give you advice with this, it’s too serious. That said, I do have another reader who’s sone suffers seizures and they do follow the keto diet and I know she makes him things with erythritol (Swerve). From the sounds of it, you ARE already following a keto diet if he’s that low in carbs. But again, I do not feel comfortable giving you any advice with regards to this except perhaps to say that you should investigate the reasoning behind NOT subtracting the erythritol on the diet your son is on. good luck and I am so sorry. I wish I could help more. Thats what Eric does too, modified atkins, its just a variation of classic keto. Some dieticians allow for sugar alcohol subtraction, others don’t, so we can’t really argue with that unfortunately. They base that advice on experience with other patients because some do lose seizure control when they use sugar alcohol. With that said though, erythritol is better tolerated than xylitol maltitol and others so they could ask for a trial with swerve specifically. Thank you for this recipe! I used a mixture of half Swerve and half Stevia Glycerite. I also added in a very small amount of maple extract because I wanted that flavor, too. Very tasty! I have no idea if it would hold up in baking or not because I’m eating it plain ?! I’ve been looking for a homemade chocolate chip recipe and lo and behold yours popped up into my Pinterest feed! YAY! I’ve found some recipes where they use heavy whipping cream to make milk chocolate, but after reading some of the comments I’m assuming it would cause the chocolate to seize? On a personal note, I started Keto in January and find that your recipes are always among my top favorites. Thank you for developing wonderful low carb, price conscious recipes! P.S. Now I have use of the cocoa butter I bought, chocolate chips and bars are soon to be in my future. Thanks so much, Janet. Adding cream can make chocolate seize easily. You’d be better off trying a milk or cream powder. Can someone please give me some advice? I have tried to follow this recipe with a different brand of coconut butter and although the flavor is amazing, the texture is so grainy! Is this all coconut butter? Coconut butter? Or COCOA butter? This recipe require cocoa butter. I whizz up about a cup of erythritol (divided into 2/3 mini batches) in my coffee bean blender every few weeks to turn it into a fine powder. I use this to add to my home made choc pudding/chocolate. Works a treat. I tried it without grinding it the first time and I didn’t like the grittiness…. Lily’s: made with Stevia, low calorie and excellent. Have you used the coco butter at Amazon for a substitute for the blocks of coco butter? With wat result? I spent quite a while reading comments checking to see if my question was previously answered- I apologize- there were just too many! Ha! I wouldn’t get anything else done today if I read through them all! I know it’s not the same exact thing, but can I substitute coconut butter for cocoa butter? I’ve been looking for low carb coconut butter recipes and this recipe came up in the search. It took me a minute before I realized it was actually a cocoa butter recipe. Thank you. They will be a lot softer and meltier upon baking, just FYI. just made these today and they turned out beautifully. I melted the cocoa butter and chocolate in a glass jar in a water bath and had no trouble blending it into the erythritol/cocoa powder mixture. I divided them into a 24 square mold to use either for chips or for a bite of chocolate with coffee. Will definitely make these again. thank you! What a fabulous recipe! I used Just Like Sugar, since sugar alcohols force me to have a more intimate relationship with my bathroom. The chocolate is fabulous! It’s not terribly grainy, and odd as it sounds, it has a really nice mouth feel. Especially with a glass of red wine. It’s wonderful to have chocolate in my life again. Thank you! Can this recipe for chips be used in your Death By Chocolate Cheesecake recipe instead of the Lily’s brand of dark chocolate? Does the chip recipe have a comparable sweetness to the Lily brand? I think it could. My recipe is darker, less sweet but I think it would be fine. Is there a way to make the sweetness of chip recipe comparable to the Lily dark chocolate? I’m very new to the low carb world and the use of sugar alternatives. I’m trying to help out a great friend whose rescently been diagnosed as a pre-diabetic. Cheesecake and chocolate chip cookies are some of her favorites. That being said she not a huge dark, dark chocolate fan. Thank you very much for all the help and creativity. You can’t add more bulk sweetener or it will be too thick. Try adding stevia liquid or liquid sucralose if you are okay with using it. Thank you for your quick reply. I’ll give it a try. I really appreciate all that you do for this community. You should tell her to check out ChocoPerfection.com. They sell milk chocolate as well as dark chocolate. The sweeten their product with chicory root. Thank you for the recipe! I just made and I’m sure it’s user error but mine seized up terribly right after I added cocoa. Too hot? Should I use a double boiler or do something to manage the temp? It’s so hard to say. Unsweetened chocolate is so prone to seizing but a double boiler would certainly help. 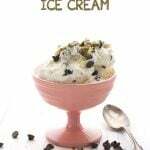 Tried this with unsweetened carob chips. Boy was that a mistake! I vow to never break the infallible keto cooking rule-don’t skimp on the chocolate. Or just use cacao nibs. Net carbs 2 per 2 Tbls. Cacao nibs are roasted, chopped cocoa beans. Just one question, can I sub the unsweeten chocolate/cocoa with cacao mass? I don’t know what cocoa mass is. These are so good! I found your site a couple of years ago and you have the best recipes. I put my son, who has Downs syndrome, on a low carb diet because of his seizures and it has helped, he is a very fussy eater but he likes a lot of your recipes. Thanks so much for sharing! I am so very glad to hear that they help and that your son’s seizures are under better control! Yes, I have done it and it works well. However you need several of them to accommodate all the chocolate in this recipe. My chocolate will not chop in to pieces, it’s chalky almost like the cocoa powder did not mix in well. When I added the vanilla it got gritty, does that mean it seized ? Should i have added more cocoa butter to thin it back out? It still tastes great. Hmmmm. Okay, what brand of cocoa powder are you using? And what sweetener? I will try my best to identify the problem. YUMMY! These came out perfect. The only changes I made was to reduce the cocoa powder by 2 tablespoons and added 2 tablespoons of heavy cream POWDER(Anthony’s)in it’s place. I also used half powdered swerve and half powdered bocha sweet. They are so good!! They taste more like milk chocolate to me. I bought the chocolate chip molds and the candy bar mold and the recipe was enough to make around 300 chips and 1 full size bar. Thank you! I can’t wait to try these! I’m stuck, though, not knowing how many cocoa butter chunks (Wild Foods brand-my bag doesn’t say) would equal 3 ounces. Can someone give me a guess? Thanks!! 12 discs = 1 ounce. One more question- with nut allergies I think Bakers and Hershey’s are my only options for the unsweetened chocolate. Would Hershey’s be a good enough option? Thanks! Are you sure others are not nut-free? Ghirardelli? Scharffenberger? They are better quality. Unfortunately Ghirardelli has a facility with potential for cross contamination with nuts. (Chocolate is one of the trickiest foods for a nut allergy! So many cross contamination labels!) Guittard isn’t safe either. Thanks for the Scharffenberger recommendation- I emailed them to see. I’m hoping that since they’re a part of the Hershey company, that no warning label will mean good news. Hershey’s is fabulous about putting warnings on labels. (The only size Hershey bar that is safe is the regular size not jumbo or mini! But that’s not Keto and thus I’m learning to make chocolate from you!!) Thanks Carolyn! I’ll report back in! Ah, okay good to know! Trying to think of others. This is too cool! Love it! Wow! Not sure I would’ve ever thought to make my own chocolate chips but these sound awesome! I couldn’t find unsweetened chocolate in Australia so I added more cocoa butter and cocoa powder (1 oz of each). Delicious! I don’t mind the graininess at all and added a bit of dedicated coconut to mask it! Even my husband who hates dark chocolate likes this one and 20g (85 cals) is enough to satisfy my sweet tooth after dinner. Can’t wait to try making different flavours by adding different things to it. Hi, Do you have a recipe for Homemade Sugar-Free White Chocolate?? Such a good idea; I’d love these in a low-carb cookie! Back when I worked for a cooking school, I got spoiled by the super high quality chocolate that we used. It kills me to spend the amount of money for Lily’s, which is good chocolate, but not as good as the chocolate they used in the cooking school. They used Valhrona and Callebaut. I also like Godiva. Scharffenberger’s is pretty good, but not as good as it was before Hershey’s bought the company. I can’t wait to try this recipe with those super high quality chocolates. I haven’t done the math, but it likely means the chips won’t be much cheaper than Lily’s, but one thing I learned from the pro chefs is that high quality ingredients are worth the additional cost, so you should always spring for the highest quality you can afford. I was thinking the same thing about ingredient costs. To make these chips, you would spend as much or more on ingredients, as the cost of just buying the chips premade. These ingredients dare just costly, no getting around it! Actually, you wouldn’t. Because each bag of the ingredients to make the chips holds more than you need per batch so you could get several batches out of them. This recipe is worth the “excuse” to buy those chocolate chip molds. SOO cute. If you have a 99 cents Only store, they have the silicone trivets very often. Square and Round. I have been making this fantastic recipe for many years. Thank you for the new tips! 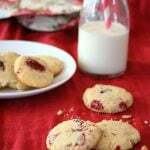 Hoping you will discover a white chocolate chip recipe on another one of your adventures developing something else! I just have one question. How many of the chocolate chip molds does it take to use the entire batch of chocolate? 9? I topped your peanut butter cups with it (24 minis) and still filled the 3 molds I bought. This recipe makes some serious chocolate chips! It tastes wonderful, a true semi sweet chocolate chip taste. They are setting up as I type this and I will definitely have to store in the fridge since I live in the hot, humid south but I can’t wait to make low carb, keto friendly chocolate chip scones and cookies with them! Love your site and everything I’ve made from it. Going to make your revised version as soon as my molds arrive. I will be using the higher grade cocoa powder. Can’t wait. Tired of looking for or ordering Lily’s. Wish the comments were organized with newest ones first, especially since you changed and improved your recipe. Keep up the good work. I have all your books and love them. Thanks for all you do. After buying high quality ingredients is it really that much cheaper to make your own? I’m so glad I finally tried this recipe! I like Lily’s too, but they are expensive and the prebiotic inulin in them means I have to use them sparingly or I really suffer later. I even ordered the chip mold and some bar molds from Amazon! I can’t wait to try them, they should arrive today. This morning I made a batch using an 8×8 pan and I can’t wait to have some homemade chocolate for dessert. I am wondering if you ever figured out what the price differential of your home-made SF chocolate chips vs Lily’s brand is? Depending on what cocoa butter you purchase, mine is about 25% less expensive. Hi Carolyn, Thank you so much for all of your keto advice and ideas. Do you have any experience using cacao nibs? I saw them at Whole Foods and thought they might be a substitute for the unsweetened chocolate. Do you know? And/or do you use cacao nibs for anything else? Okay so cacao nibs are not a great chocolate sub. They are very crunchy. Good and a light chocolate flavour but they aren’t something you’d want to try to sub for chocolate. They are good in cakes and bars, though. Hi Carolyn! I read through most of the comments but wondered if you had any experience or understanding that would help me – I want to make something more akin to milk chocolate. I have heavy cream powder. Could I add that to your recipe and turn it into a milkier chocolate instead of dark? I really miss my milk chocolate! Also, do you know if I used a small amount of liquid stevia or monkfruit extract if that would work? How much would you suggest? I plan to trial some of these, but wondered if you had any words of wisdom that might guide! Thanks! 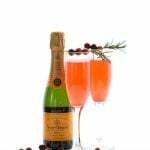 I use this recipe again and again! Thanks! Cocoa butter is another product. It is not made from coconut. Either way, it’s not likely the cause of a grainy texture. This can happen if the chocolate isn’t mixed well or when it gets too warm. It can separate at higher temps and become grainier. I also add xanthan gum to my chocolate to help with the texture.